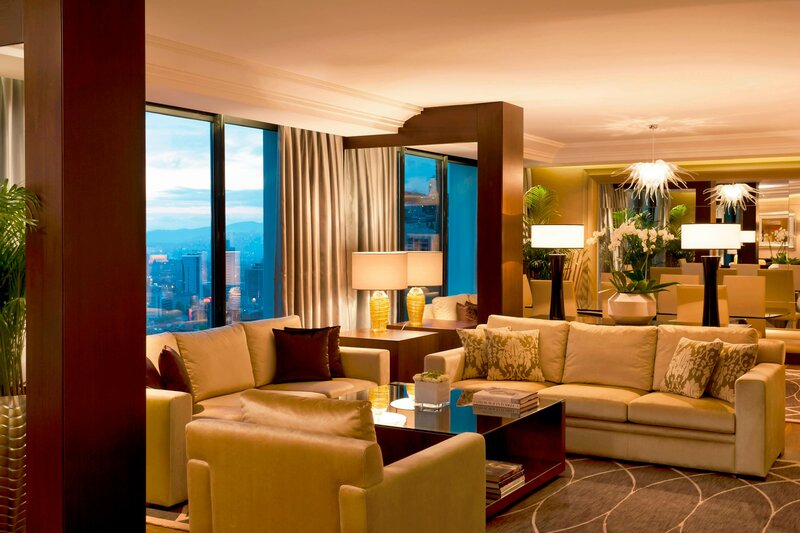 Featuring natural wood furnishings, tray ceilings, floor-to-ceiling windows with inspired city views, and soothing golden, cream, and burgundy hues, our guest rooms and suites exemplify the Lugal’s signature sophistication and grandeur. State-of-the-art technology, including IP phones, LED or flat screen televisions, and High Speed Internet Access, keep guests connected. Indulgent amenities—from personal espresso machines to sumptuous marble bathrooms to exclusive bath amenities—ensure an unrivaled stay. 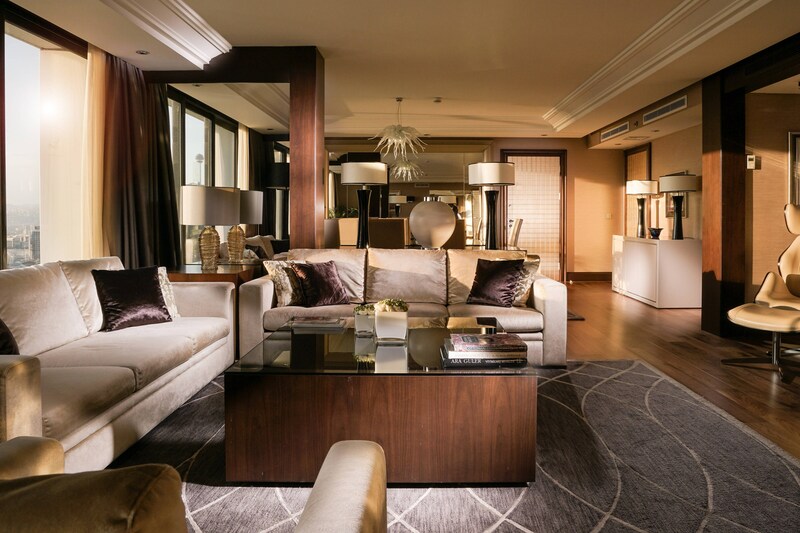 Golden doors and a gracious marble entrance welcome guests into our 180-square-meter Lugal Suite.